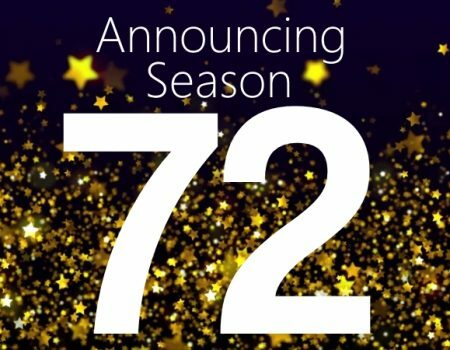 Though we’re still just halfway through our current season, we have selected a slate of shows for 2017-18, our 72nd season. Audition dates will be announced in March. Subscriptions will go on sale in April, and single tickets will go on sale later in the year. Our 2017-18 Season will begin in December 2017, as our 2016-17 Season does not end until mid-September. Our most popular holiday show ever! When the town terrors end up as the leads in the annual Christmas pageant, their interesting interpretation of the story (which they have never heard before) helps everyone rediscover the meaning of the holiday. In this musical, three very different secretaries are trying to survive in the secretarial pool of a large corporation run by a chauvinistic boss. In this transcendently powerful new adaptation, Anne Frank emerges from history a living, lyrical, intensely gifted young girl. When a group of unemployed Buffalo steelworkers come up with a way to make some quick cash, everyone wonders if they will really pull it off! A comedy that explores how the power of theatre can affect the most unsuspecting, and perhaps most deserving, of us all.